We suggest you get an overview of our broad range of products, by working through the different options and information provided here. Whether it be a shed, carport, garage, stable, or kit home, our Engineering staff will assist you with the selection of styles in the dimensions suitable to your specific needs. We have incorporated photos of past jobs along with customer comments on the excellent customer service we provide. We suggest, if you have not had dealings with us before, you go to the page that will thoroughly explain the processes we will take you through. Once you are certain about the product and style you are after, the broad range of colours and styles for facades along with some style guides, should make the tour easy. Learn about our steel-framing systems and the ease and accuracy with which they can be erected. There is no limit on size and we will deliver almost anywhere. Our Resume includes commercial, industrial and residential buildings including aircraft hangars, facilities for storage companies, wineries and fisheries, farm buildings along with residential homes, sheds, carports and garages to name a few. As part of the largest shed sellers in Australia, the product is not only fully-guaranteed, but we will ensure you receive the most out of your purchase both at the point of sale and after the sale. Drop in and visit us or speak with us over the phone. David Elliott will give you his expert engineering advice on the product most suited to you. Consider what it is you’ll be using it for. What is the potentially tallest item to be housed in your shed? In other words, if you want to store a tractor, you will need to consider the tip of the exhaust pipe, or the roll bar. If you are wanting to store a caravan, does it have a pop-top you’d want to raise under the protection of your shed? Will you require a roller door? Then your very tall item just may need allowances for clearance under the door, so this may determine the overall height. Look at the dimensions of the items you’ll be placing in the shed. Do you need to walk around it? Are you placing other items in the shed? Then consider the space you need to make allowances for. This will determine your width and depth. What about the outside, where will it be placed in terms of the slope of the land. If it is a steep slope, more cost will be incurred by the need for earthworks to make a level area. Take into account any boundary regulations with Council. 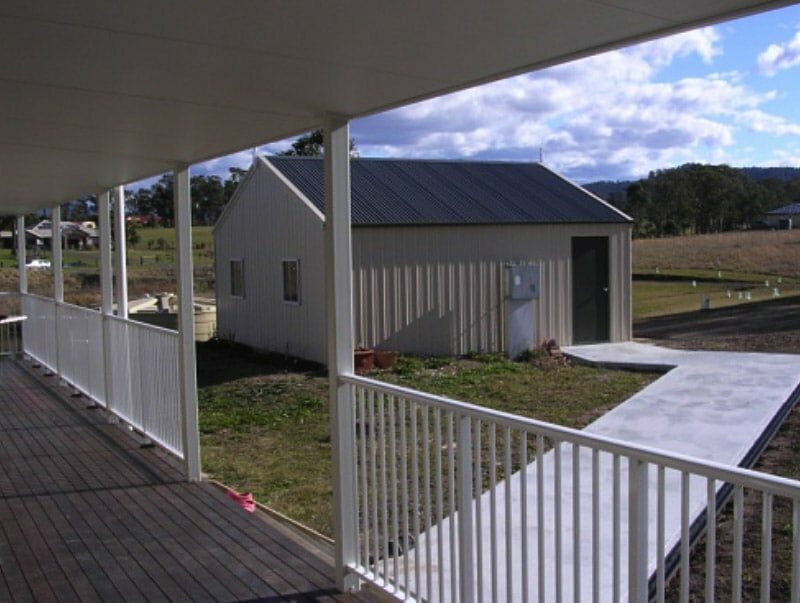 Style choices are now ready to be made, on the style of shed or home and the cladding and colours from our range of Colorbond product. Once you have this information, you are ready to speak with our Engineering consultants. Full engineering plans and specifications suitable for Council application are provided with your order. All you need to provide is the Site plan. To place an order, each customer will be required to complete and sign a colour selection chart. This details all the colours for all the various shed components. All statutory authority approvals remain the customer’s responsibility. A 10% deposit will be required for your order. Deliveries are usually 3-4 weeks after you place the order.